Transformer kVA ratings do not pose an absolute limit to loading but simply represent the load capacity at which the transformer could be expected to have a nominal service life if loaded continuously to this rating at a constant ambient temperature of 30 °C. Distribution transformers are routinely applied so that the peak load is well above the rated capacity. The consequence of the overloading is increased winding temperatures, which lead to accelerated aging. 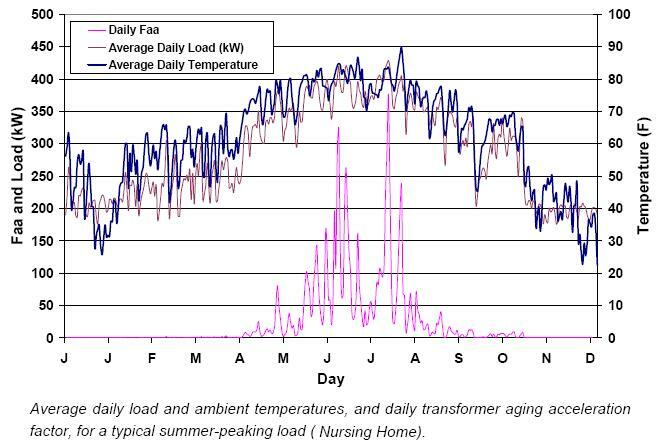 Because the transformers are typically loaded to well below rating most of the time, there are tradeoffs between the slower-than-nominal aging during underloaded periods and accelerated aging during overloads. The industry has developed transformer loading analysis algorithms to model transformer thermal behavior and insulation aging, allowing the inherent overloadability of distribution transformers to be exploited. There are a number of software tools available to perform this analysis, including two tools developed by DSTAR: Transformer Owning Cost Software (TOCS), and Transformer Loading Analyzer (TLA). 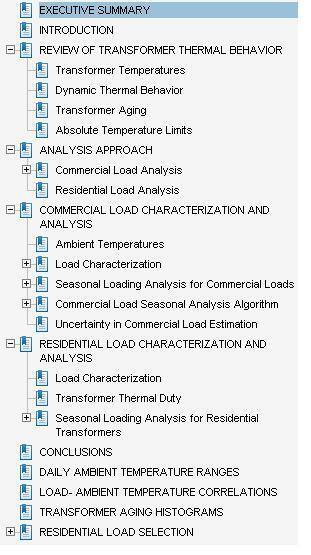 These tools, and others available in the industry, perform transformer loading analysis on a seasonal basis, with a representative hourly daily demand curve and ambient temperature curve representing the transformer behavior for all days in each of four seasons. The 86-pge final report provides these guidelines, and documents the approach taken to developing them. The table of contents is shown below.